Reach and engage your customers. 3 Choose from a list of default newsletter templates or design your own templates to suit your email marketing needs. 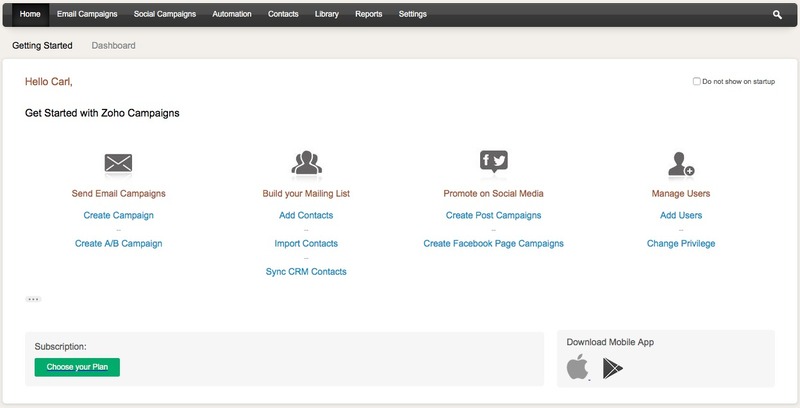 3 Automate your email marketing with email workflows and autoresponders. 3 Share your campaigns on social media sites. 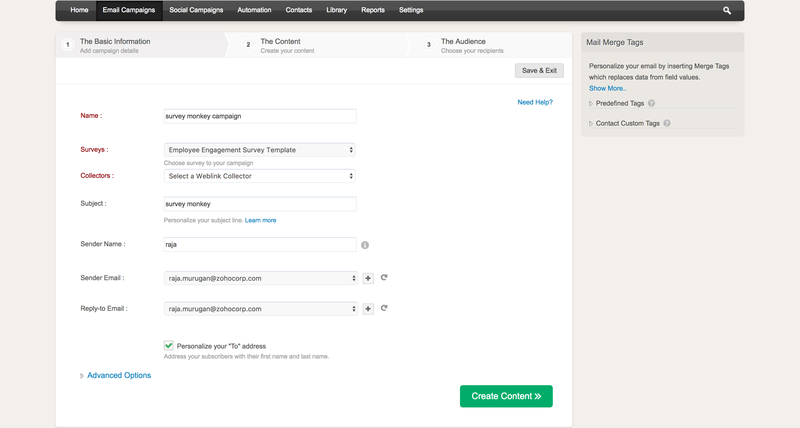 3 Track the performance of your email and social campaigns in real time. Zoho Campaigns allows you to create, send, and track effective email campaigns that help you build lasting relationships with your customers. Enhance your email marketing experience with powerful tools that allow you to manage your mailing lists using merge tags, which allow you to categorize your contacts based on specific criteria, helping you keep things organized. 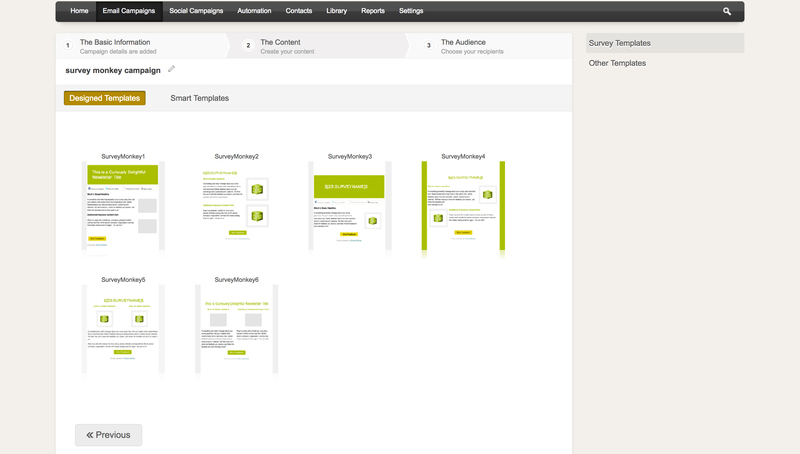 You can also experiment with your email campaigns based on the subject and the content, using A/B Testing. By automating your campaigns using email workflows and autoresponders, you can send your contacts relevant content at the right time. By coupling this with other effective tools such as surveys, you can always stay ahead of the curve. Ensure that your emails always look great with our predefined email templates, or effortlessly create your own templates to suit your needs. Track your campaigns with detailed, real time reports that include opens, click-through rates, unsubscribes, bounces, social media engagement and even geolocation reports, and make necessary changes to your future campaigns. Zoho Campaigns also allows you to promote your campaigns on Facebook, Twitter, and LinkedIn, so you can go beyond just email marketing and reach a much wider audience. 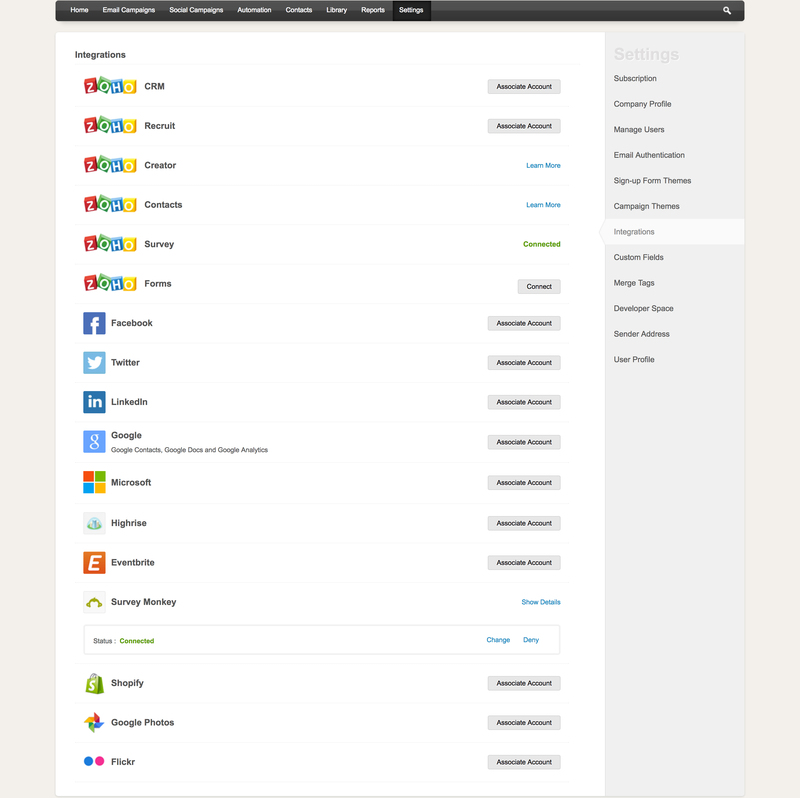 The user is allowed 12,000 emails per month and 2,000 contacts. Social media (Twitter, Facebook, LinkedIn) post campaigns are limited to 1 account/social network/user and Facebook page marketing is limited to pages with up to 200 fans. .